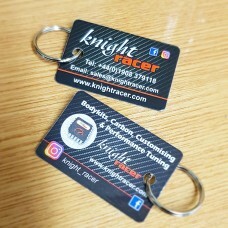 Knight Racer Key Tag with Key Ring. Decent piece goes well with your keys. 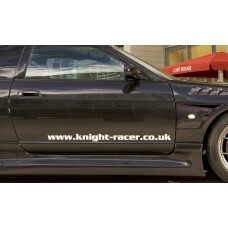 FREE SHIPPING ..
Knight Racer LARGE Logo Vinyl with Blade Shadow Knight - White Racer - Red with Black Shadow..
Knight Racer website in Mirror Chrome Vinyl, 1 meter in length - ideal for side skirts / botton .. 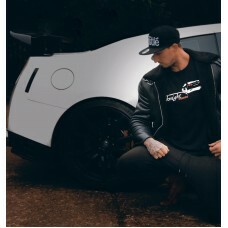 Stylish design with the infamous GTR Rear End as a silhouette blended into our Knight Racer LogoWhit.. 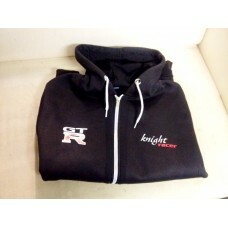 Stylish design with the infamous GTR Rear End as a silhouette blended into our Knight Racer LogoBlac..
Super comfy and high quality We've introduced a great looking hoodie with the Knight-Racer br.. Designed to celebrate the success of our KR650 Performance Pack and famous "Pops and Bangs"Be recogn..
Knight Racer Red and Black Racing Cap one size ..